During the 1980s, that was the time period where hard rock and heavy metal was starting to dominate the Billboard 100 charts. None of that would be possible if it were not for Los Angeles metalheads Quiet Riot and their 1983 smash hit album, Metal Health. That album was the first heavy metal record to reach the top spot of #1 on the Billboard 100, taking down The Police’s Synchronicity. Today, through various line-up changes and constantly replacing lead leaders who just could not hold a candle to original singer, the late great Kevin DuBrow, Quiet Riot is still marching to their own beat and remains a crowd favorite. 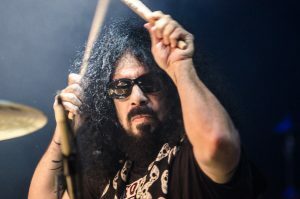 I had the opportunity to talk with the group’s drummer and leader, Frankie Banali. 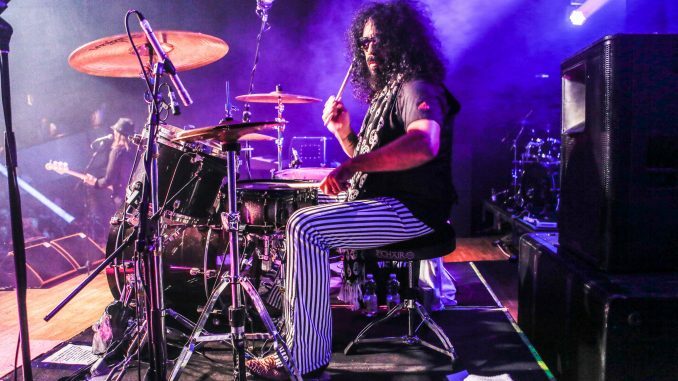 He is the only member from the Metal Health era of Quiet Riot to still be around, and he is determined to keep the group around for as long as possible. According to Banali, his pal/bandmate DuBrow came up with the name Quiet Riot after having a conversation with Status Quo singer/guitarist Rick Parfitt, who suggested “Quite Right,” but his cockney accent made sound like “Quiet Riot.” The band is putting their newest live record, One Night in Milan (out January 25th), and strangely enough, their Frontier Records label mate put out a live album from Milan as well. Banali told that because the label is based there, they held a Frontier Records Festival. He felt that being there was the perfect area for a live Quiet Riot record because of the energy the fans gave them. We would go on to talk about we they go through so many singers and being with their current one, American Idol alum James Durbin, who is a perfect fit. Banali went into great detail of how Durbin came to join the group and record their newest album with new material, 2017’s Road Rage. Ironically, that record was postponed due to firing the original vocalist off that album, so that gave Durbin the opportunity to write down new lyrics and melodies. For Banali, his new singer reminds him so much of DuBrow in terms of singing and performance. We would also chat about his interest in the Japanese culture and was once a practitioner of Kendo, but because of Quiet Riot’s schedule, he has not done it in a while. The last question I asked him was what his fondness memory of DuBrow was. He told me it was the little everyday things that would ask him during a performance, like if a restaurant in a hotel they were staying at would still be open after their show. That is a cool, personal memory to have. It is the little things that count in life. 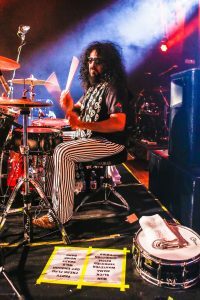 I had a nice time talking Banali and getting to know a little more about Quiet Riot’s history. I have yet to see the group perform live, but now that Durbin is in the mix, I will be there the next time they come around, and bang my head, for the good of my metal health. He even told me that when do I come, we will have a beer. So Frankie, if you are reading this, I will hold you to that drink. LOL. 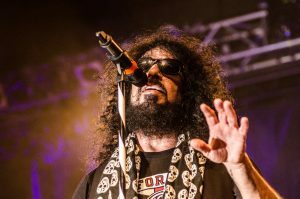 To Frankie Banali, I salute you. Horns up!! !